A message which said, “Hacked by M4N1L4 PR1D3, PHILIPPINE CYBER ARMY AND -=TheFamilyPride=-,” appeared on the homepage of PNP’s Police Community Relations Group (PCRG). "Private X" and "Anonymous Philippines" hacked websites of the Department of Interior and Local Government, the One-Stop Information Shop for Technologies in the Philippines of the Department of Science and Technology, National Telecommunications Commission (NTC), Philippine Nuclear Institute, Intellectual Property Office of the Philippines, Tourism website of the City of San Fernando, Optical Media Board, Pilipinas Anti-Piracy Team, Department of Health’s Smoke Free Philippines, Marina Industry Authority and the Maritime Training Council. 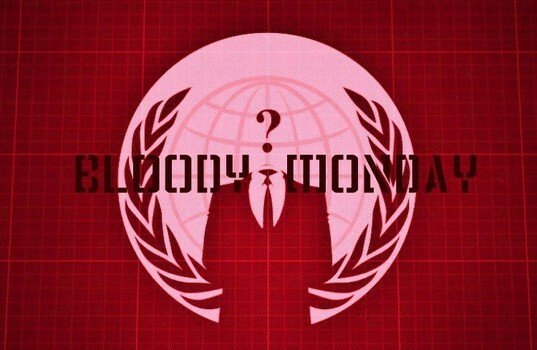 The Twitter account of the Department of Social Welfare and Services was also hacked on “Bloody Monday”, and Anonymous hacktivists left the following tweet: "We are Anonymous, we do not forgive, we do not forget, united as one, divided by NONE, EXPECT US!" “The Cybercrime Prevention Act of 2012 is the most notorious act ever witnessed in the cyber-history of the Philippines,” the group’s message said in a link to another page. “The language of the bill is cunningly designed to make you think it only applies to individuals who are deep in cyber-technology and doesn’t apply to everyone,” said the hackers who called themselves Philippine Cyber Army.